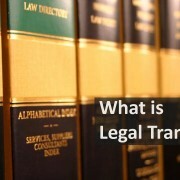 Legal translation is one of the most difficult forms of translation. The stakes are high, as money , lives and freedom hang in the balance. It requires absolute familiarity with both everyday language and legal jargon in both languages, and it’s essential to get it right the first time. For perspective, here are four times legal translation (or the lack thereof) has helped shape history. 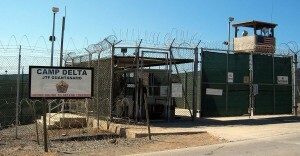 Since 2002, the United States has detained 779 men as terrorists in the prison in Guantanamo Bay. They weren’t all terrorists, though. As many as 80 percent were handed over to the US by Afghan and Pakistani authorities, often in exchange for bounties. When it came time to interrogate them, interpretation was sometimes lacking. Hassan was released in 2015, 13 years after his transfer to Guantanamo Bay. The Nuremberg Trials changed legal translation and interpreting forever. 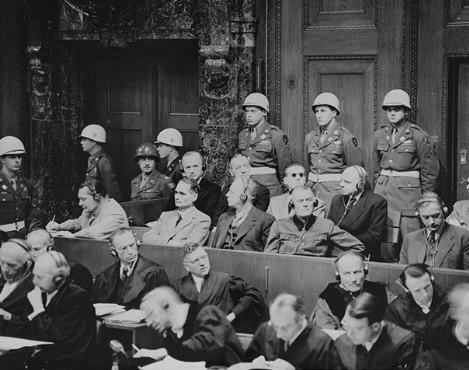 In order to provide Nazi war criminals with “fair and expeditious trials,” the Allies had to find a way to “speed up” traditional courtroom interpretation. 200 defendants were tried at Nuremberg, and all proceedings had to translated into four different languages: English, German, Russian and French. Can you imagine how long it would have taken if the interpreters had waited until each person was finished speaking and then translated their statements one at a time? To keep the trials “expeditious,” US Col. Leon Dostert created a system of simultaneous interpretation. Interpreters would translate words as they were spoken, broadcasting the translations with a system of microphones and headsets. The Nuremburg trials provided a model for how the UN handles interpreting to this day. Interpreting at the trials was not easy. Imagine: day after day, listening as witnesses and defendants alike described the unspeakable horrors of the Holocaust, and translating those horrors into a new language, in your own voice. Some of the translators were Jewish themselves, and had lost family and friends to the Nazi’s brutality. They had to wrestle with their own emotions and desire for revenge on a daily basis. Thanks to their efforts, some of the key figures in the Nazi regime were brought to justice under international law. 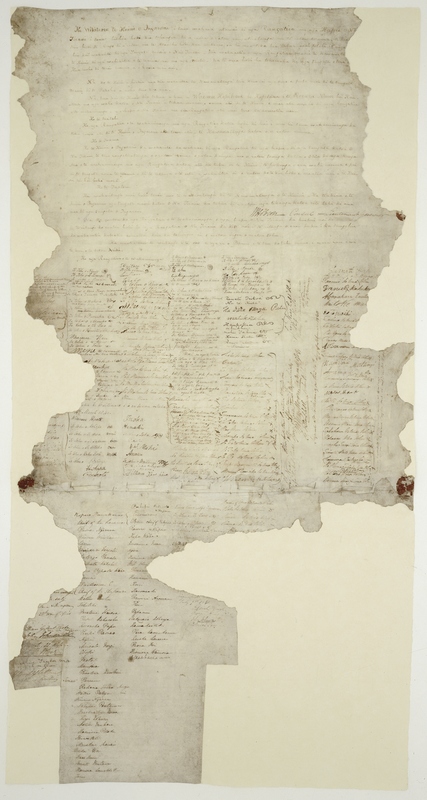 The Treaty of Waitangi was signed on 6 February 1840 between the British government and the native Maori tribes of New Zealand. Unfortunately, it was poorly translated and there were some significant differences between the British and Maori versions. Most importantly, the Maori believed they were agreeing to share power with the British government in exchange for protection. In the British version of the Treaty, the Maori were agreeing to cede full sovereignty to the Crown. The treaty was drafted in a hurry, and the translation was even more rushed. The translators were missionaries, neither completely fluent in Te Reo nor knowledgeable enough about Maori culture to make the intentions of the British government understood. 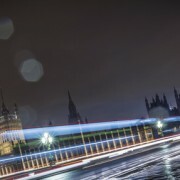 Disputes on the meaning of the treaty and how it should be applied continue to this day. The Warsaw Convention was written in 1925 to help settle liability issues in international air travel. It was written in French and translated into English by translators employed by the English Parliament. However, the English translation was less than faithful, and disputes over the details haunted English-speaking courts for decades, until the Warsaw Convention was replaced by the Montreal Convention in 2003. Does the French phrase lesion corporelle include liability for mental anguish, or just physical injuries? To what extent can punitive damages be recovered under the Warsaw Convention? Where should trials under the Warsaw Convention be held, and how should it be determined which courts have jurisdiction? Fortunately, the Montreal Convention was ratified in six official languages: English, French, Arabic, Spanish, Chinese and Russian. 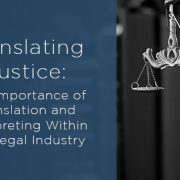 These are high-profile examples of the potential impact of legal translation, but there are thousands upon thousands of other examples. All over the world, innocent people have been found guilty and guilty defendants have been released due to lack of proper interpreting. On the business side, what if your contract doesn’t mean what you think it means? Poor translations could cost you. The bottom line is that with legal translation, every word counts!